New to Linux and Xubuntu, I have recently installed Xubuntu 14.04 64 bit and so far I have been installing/uninstalling apps from the Ubunutu software center. Recently I have installed google chrome since it was not available in the software center I downloaded from google's website. When I double clicked to install it, it has opened the software center app and showing the page for chrome and an install button which I clicked to install it successfully. 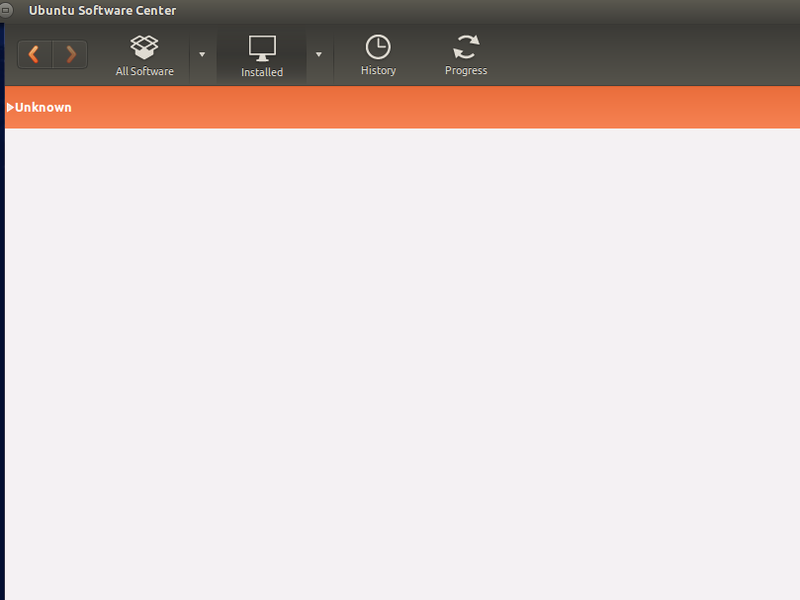 I later on deleted the .deb file, now I want to remove the chrome from Xubuntu but When I open the Ubuntu software center and tap the installed button it shows all other apps but not the google chrome that I installed. SO my question is how to remove any such app that I install using the downloaded .deb file from elsewhere and in this case chrome ? This should remove the package from your system. or install Synaptic with sudo apt-get install synaptic and click on the Status button on the left panel and select Installed (local or obsolete). See screen capture below for reference. 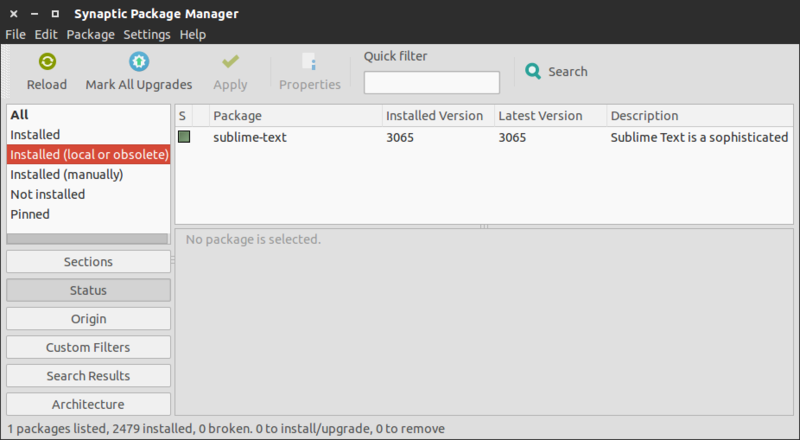 Both options will show you the list of all .deb installed packages. In the software center go to Installed and at this Installed button there is an arrow showing options - Tick the Unknown - there is a list of application you installed from outer places. Not the answer you're looking for? Browse other questions tagged apt xubuntu software-center or ask your own question.